The Kona, due to be unveiled at the Los Angeles auto show later on Wednesday, is a key model for Hyundai in the U.S.
SEOUL -- Hyundai Motor Co. workers resumed production of the Kona SUV late on Tuesday, ending a near two-day strike over the company's decision to expand the model's output ahead of its launch in Canada and the United States. The Kona, due to be unveiled at the Los Angeles auto show later on Wednesday, is a key model for Hyundai which is looking to reverse a sales slump in Canada and the United States. It is currently sold in South Korea and Europe. A Hyundai spokeswoman said the dispute would not affect its plan to introduce the Kona in the U.S. in the first quarter of next year. The automaker plans to continue discussions with the union about commencing work on a second assembly line, she added. 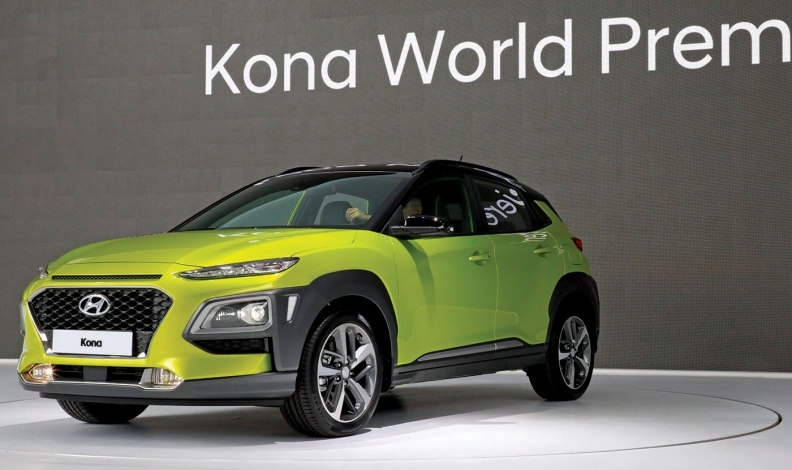 The automaker has said it aims to start Kona shipments to the U.S. from Dec. 1, but a union spokesman said this schedule could be pushed back depending on the outcome of the discussions about how best to boost production of the model. Hyundai has accused the union of making "irrelevant demands" such as requests for extra windows in the factory as part of the discussions. Hyundai Motor's global sales fell 6 percent from January to September compared with the same period a year earlier, as a lack of SUV models hit sales in the U.S. market and a diplomatic row between Seoul and Beijing hurt sales in China. Hyundai brand sales in Canada are down 7.3 per cent to 113,390 through the first 10 months of 2017. Hyundai brand U.S. sales slipped 15 per cent to 547,862 vehicles during the same time period.